Once you’ve signed up for our 30 day Intro Offer ($59 for 30 days), just add your name to the board in the studio along with the date of your first class. 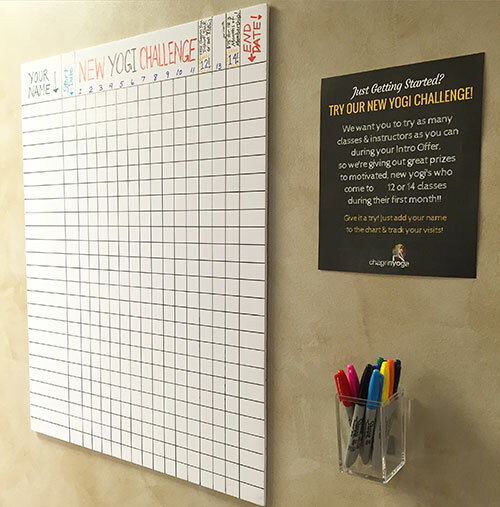 Then, all you need to do is use our colorful sharpies to mark off each day you come to yoga during your first month. If you get to 15 classes, you’ll get your first three months of membership at the deeply discounted rate of $75 per month. Have fun and enjoy your yoga journey!